Financially struggling Waterbury Hospital lost its suitor Thursday. Tenet Healthcare Corporation notified state regulators Thursday it was withdrawing its applications to buy five hospitals in Connecticut, ending a two-year effort by a national for-profit hospital chain to enter the changing Connecticut market. Its decision came 10 days after the state Office of Health Care Access proposed setting strict controls over staffing, services and pricing as a condition of approving Tenet’s application to buy Waterbury Hospital and convert it from a non-profit to a for-profit institution. The withdrawal is a financial blow to struggling Waterbury Hospital and is likely to be a major political and fiscal complication for the administration of Gov. 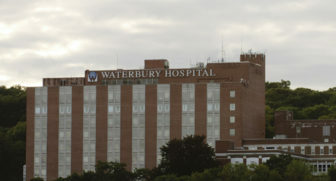 Dannel P. Malloy, the General Assembly and the city of Waterbury, where its two hospital are a crucial source of jobs. Waterbury Mayor Neil M. O’Leary and hospital industry officials bluntly warned this week that the proposed decision by regulators and, to a lesser extent, related recommendations by the state attorney general’s office, were a threat to the purchase. But the speed with which Tenet, a company based in Dallas, announced it would cease attempting do business in Connecticut was stunning. Company officials declined to say if it would reconsider if regulators dropped their conditions, which included a five-year prohibition on changes in staffing and services. Administration officials did not indicate if the deal could be salvaged. O’Leary, an ally of Malloy’s, and others warned that OHCA, as the office is known, was running the risk of driving away a suitor that might be Waterbury Hospital’s last best chance at fiscal stability. Waterbury is projected to lose $10 million next year, and it needs more than $50 million for overdue capital improvements. Tenet had made offers to buy both of the city’s hospitals, Waterbury and St. Mary’s, in a partnership with Yale-New Haven Hospital, as well as hospitals in Bristol, Manchester and Vernon. 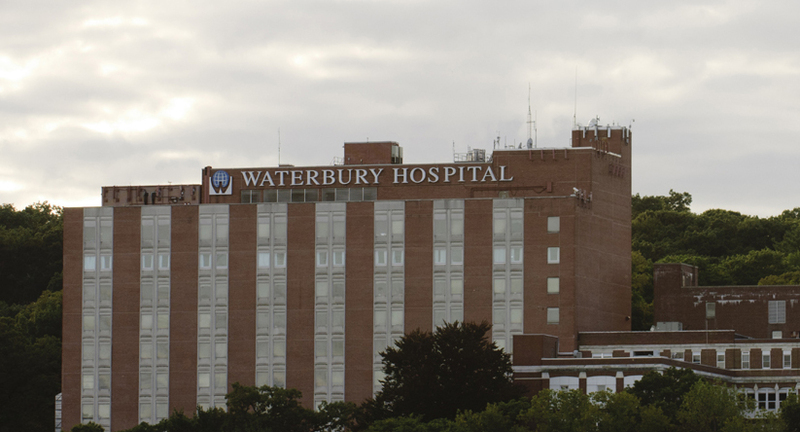 In a statement posted Thursday on its web site, Tenet said, “The extensive list of proposed conditions to be imposed on the Waterbury Hospital transaction, which is only the first of four transactions for which we’ve made applications, has led us to conclude that the approach to regulatory oversight in Connecticut would not enable Tenet to operate the hospitals successfully for the benefit of all stakeholders. Eastern Connecticut owns Rockville General in Vernon and Manchester Memorial. OHCA imposed 47 conditions affecting the hospital’s operations. The office of the attorney general, which has responsibility for protecting the assets of charitable institutions, set 21 conditions pertaining to finances. “It is unfortunate that Tenet has decided to withdraw its applications. Based on conversations my office has had subsequent to the release of our proposed final decision last week, I do not believe that the conditions proposed by my office – which focused on preserving and safeguarding the assets of the sale for healthcare purposes and not the day-to-day operation of the for-profit hospital going forward – were a contributing factor in Tenet’s decision,” Attorney General George Jepsen said in a statement. Waterbury Hospital offered a muted response. “We are sad and disappointed that after two years of hard work the opportunity for Waterbury Hospital to become part of the Tenet Healthcare family has come to an end. The proposed Joint Venture between our hospital and Tenet offered many benefits to our community,” said Carl Contadini, chairman of the hospital’s Board of Directors. Darlene Stromstad, the hospital’s president and chief executive, said Tenet’s decision was not a surprise. Unions representing hospital employees and an advocacy group, the Connecticut Citizen Action Group, had opposed the purchase of the hospital by a for-profit company. All of Connecticut’s hospitals are non-profits, with the exception of Sharon Hospital. Rep. Themis Klarides, R-Derby, who takes over in January as the House minority leader, said the withdrawal reflects poorly on the state and its regulatory environment. Rep. Jeffrey Berger, D-Waterbury, said many of OHCA’s proposed conditions for the sale had been considered and rejected by the legislature. He said he was surprised by OHCA’s proposed ruling — and by Tenet’s decision. “I expected people to talk,” he said.